Kata Rocks is an industry leader, receiving awards for excellent design & architecture and service excellence. 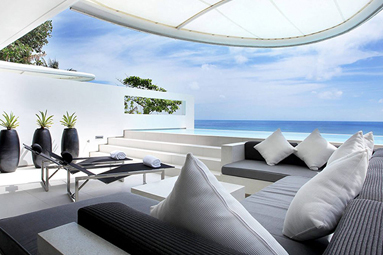 All Sky Villas boast uninterrupted, stunning Andaman ocean views with 7-14 meter private infinity swimming pools. 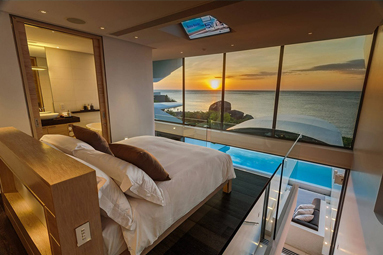 An in-villa iPad controls innovative, state-of-the-art, home VDA automation software combining luxury and technology. The restaurant & bar is located right on the oceanfront. 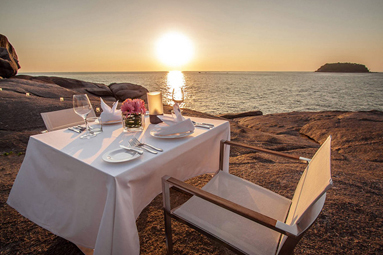 It features stunning sunset views over the Andaman Sea making it one of Phuket’s best venues for wining and dining. Infinite Luxury Spa, voted as the best spa in Phuket, offers innovative an chromotherapy room for colored light therapy, a waterbed room equipped with Italian-made Iso-Benessere, a sleeping pod room with Metro nap rest pod, as well as traditional spa services. 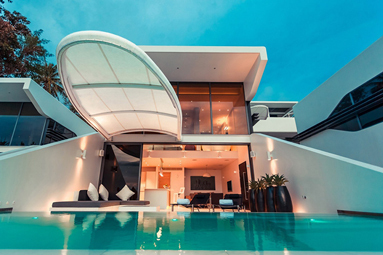 Kata Rocks was conceived as the ultimate in villa and apartment living, combining the space and opulence of a modern villa with the service of a 5-star boutique hotel. 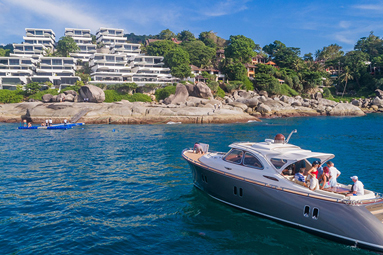 This prime Phuket luxury real estate is located right on the oceanfront, between the two finest beaches in Phuket. 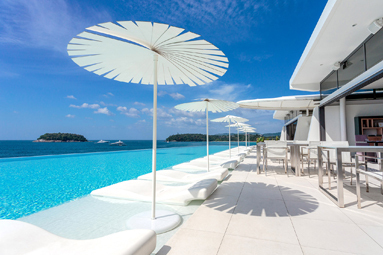 It is against this backdrop that you will find all of the Sky Villas at Kata Rocks providing amazing views over their own private infinity pools.